The true story of the Hatton Garden Heist, dubbed the largest burglary in English legal history. With a resume that includes fine dramas like The Theory of Everything and Shadow Dancer, and the terrific documentaries Project Nim and Man on Wire, it’s safe to be optimistic for a movie directed by James Marsh. His latest film, King of Thieves, boasts an amazing cast and the intriguing true story of what was said to be the largest burglary in English legal history. The humour-infused heist flick is a departure from the filmmaker’s serious stuff and the result is his first misstep in many years, largely - and surprisingly - due to his actors. Nobody will argue against Marsh’s talents (just read the first line again) but he was the wrong director to take on King of Thieves. 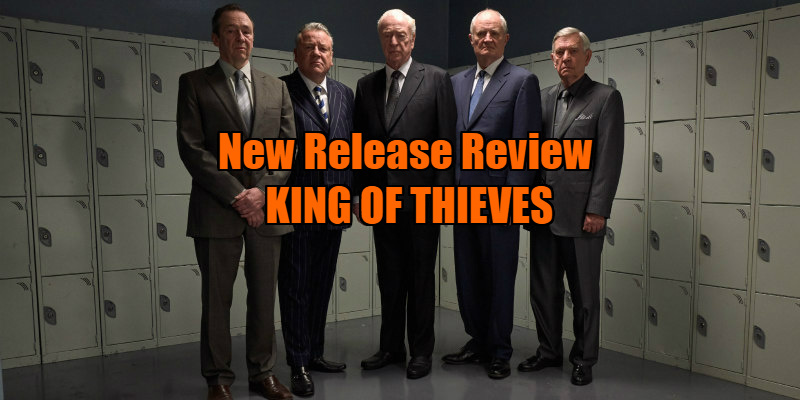 King of Thieves suffers from similar issues that plagued this year’s Ocean’s 8, when a capable director took on wildly different material than he was used to and wasn’t entirely capable of handling it. The attempt to create a crackerjack popcorn flick is afflicted by a misjudged amount of creative decisions. One of them has to be an overbearing score that tries way too hard to take control over your emotions instead of letting you organically connect with the characters. Maybe it’s a necessary choice because they’re all scumbag criminals by default, but a couple of rewrites should have taken precedence over the overproduced music. At the centre of this gang is Brian Reader (Michael Caine) who, like many “one last job” types, is motivated by the death of his late partner. His associates include the greedy Danny (Ray Winstone), the temperamental Terry (Jim Broadbent) and the dimwitted Kenny (Tom Courtenay). Daredevil star Charlie Cox plays the “world’s best alarm specialist” Basil, the feeble youngster who gives the men the idea to commit thievery. 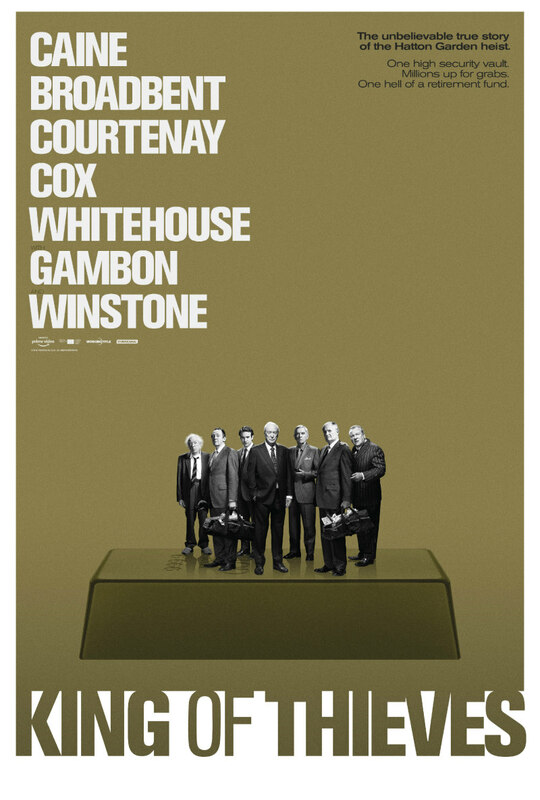 He tells them the way into the Hatton Garden security vault, which is their target for diamonds that are worth more than the money they’ve seen in their entire working lives. Rounding up the cast of crooks are Carl Wood (Paul Whitehouse) and the dunce Billy “The Fish” Lincoln, played by a scene-stealing Michael Gambon, who uses his sloven natural appearance to great comedic effect. How awesome - a clique of crazy talented British thespians starring in the true tale of the most alarming (pun intended) robbery in recent English history. The Cockney humour and old-school charm should be there, but it isn’t. This is largely due to a complete lack of chemistry between the cast. Their conversations are entirely chopped up; every sentence is given its own frame with the actors in close-up. This infers three things - either these great Britons forgot how to act and required multiple takes to say a few words; Marsh wasn’t sure on how to direct them; or it was evident in the wider shots that they couldn’t convincingly have a natural conversation together. The lack of chemistry takes away the enjoyment of seeing this band perform together and it’s actually more interesting when the internal conflicts arise, primarily because these actors are some of the best at expressing anger. The first moment Caine’s character confronts Broadbent’s in the middle of their crime may be the most memorable part of an otherwise largely forgettable caper. 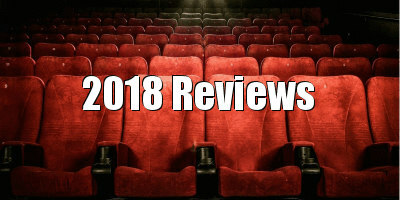 Their stilted deliveries affects the pacing of the plot by circumstance, which becomes a slog to get from Point A to B and becomes more repetitive than surprising when the slew of twists occur over the course of the second half, largely revolving around culling the members of the group and fighting over the retrieved materials, thus reaffirming that this filmmaker’s lack of experience in making a popcorn thriller shouldn’t have placed him at the helm in favour of potentially better suited options including Guy Ritchie and Matthew Vaughn. Obviously there’s an older target audience here, who’ve followed the veteran actors for a long time, and Marsh pleasures them with match cuts to moments in their early film careers when they were playing similar characters. These archival callbacks are a respite in the snooze fest and one of the only times where you can see the director’s creativity unrestrained by other forces. Maybe he just did the film for the money. Maybe they all did. The only thing sure is that the audience got robbed.